Countless state and federal laws govern safety regulations, and determining how they apply to your company can be confusing and time-consuming. 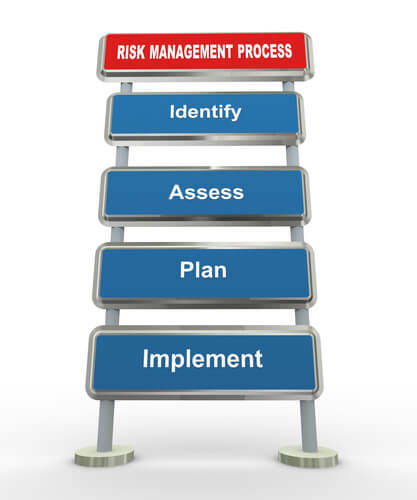 We offer risk management services that extend far beyond workers’ compensation coverage. Depending on the industry and service, your small business may require basic risk-management services or a more extensive, in-depth approach. You should trust a company with extensive risk-management experience so that you can be sure your program is addressing your industry’s key issues, and updating changes according to ever-changing government regulations. When you have risk management professionals to bridge the gap between employer and employees, you can be sure messages are being relayed more effectively. You are relying on professionals who know how to communicate about safety issues with employees ― we’ve been doing it for years. We can organize training that directly applies to your staff’s everyday work life and identify any missing links in your current system. If we notice a recurring problem, you will be the first to know, and your employees will be the first to be warned and then trained to increase protection. It takes time to put together a comprehensive risk-management program on your own ― think about how much time you will spend just writing the safety manual. But it’s possible to add this time back to your schedule when you let WTA take the reins. Not only will you save time, but you will ensure your risk-management program is in full compliance with the law and will produce effective results, given the training and experience of the team behind its creation ― our endorsed, quality professionals.